Corn Combining in Iowa … by August 24th??? This post’s photos of the golden combined corn field were taken yesterday (August 24, 2012) just north of Churdan, Iowa, in Greene County. 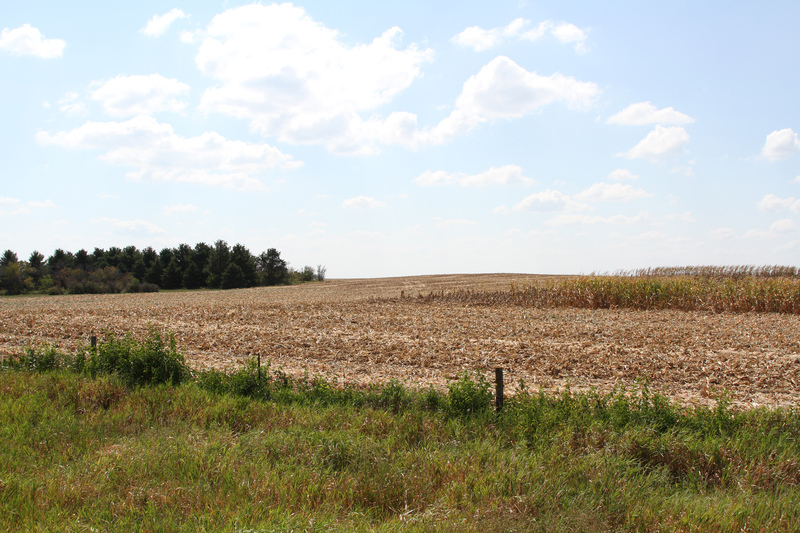 The photo of the lush green corn field was taken eleven days prior (August 13) about fifty miles further northwest in Pocahontas County. What a contrast, almost entirely due to the different amounts of precipitation, in fields just fifty miles apart. Corn combining in Iowa usually doesn’t start until mid-September (and even then, it is a little early). Widespread combining in Iowa in August, like the state is experiencing in 2012, is extremely rare. 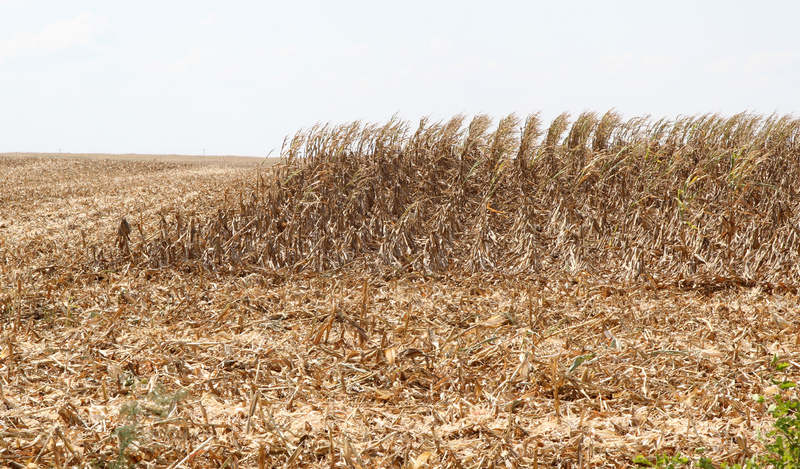 In general, states across the Cornbelt experienced similar drought conditions like that shown in these photos where combining has already occurred, and sometimes much worse (although Minnesota fared better than some of the other Cornbelt states). 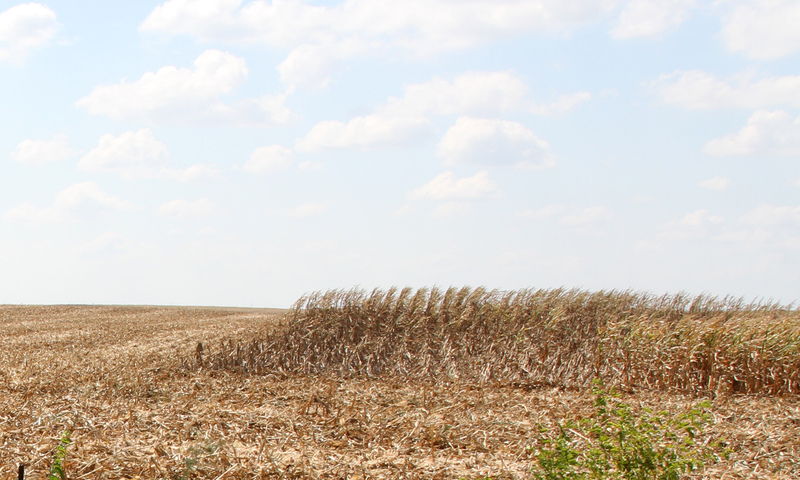 In some areas the corn fields are in such a bad state they are chopped instead of combined. The photo immediately below was taken eleven days earlier (August 13). Because they were not taken on the same day, admittedly the photos are not comparing apples to apples. Still, the contrast due to the above (Greene County) photo being in a drought area and the (Pocahontas County) photo below being in an area receiving more timely rains is obvious. Click on any thumbnail to enlarge the image and/or to move through the images in slideshow view. After clicking on a thumbnail, to enlarge the photo even more, click on the “View Full Size” link. August 24, 2012. 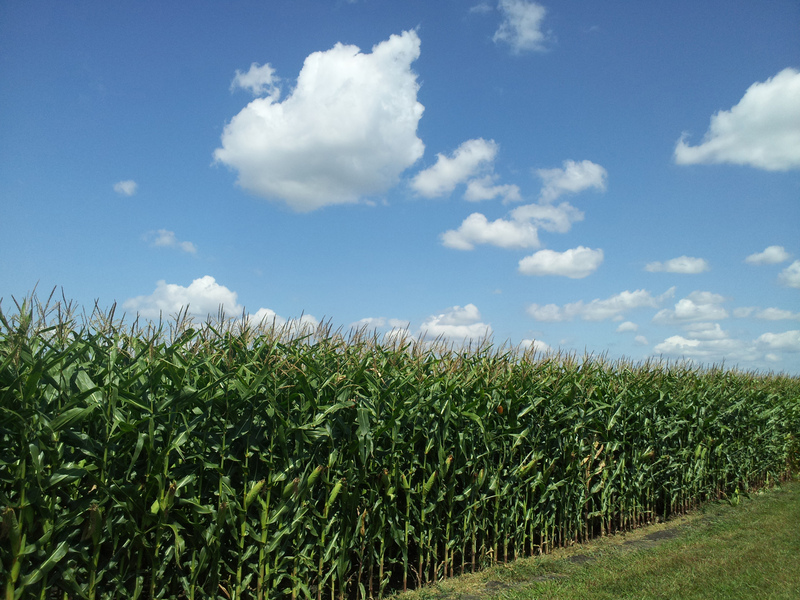 North of Churdan, Iowa, which is in Greene County. This field is in a severe drought area. This entry was posted on August 25, 2012 at 9:19 am and is filed under Uncategorized. You can follow any responses to this entry through the RSS 2.0 feed. You can skip to the end and leave a response. Pinging is currently not allowed. Such an incredible contrast. Those of us who have farms in Pocahontas, Buena Vista, Palo Alto and Clay counties should count our blessings.